It hurts me that I even have to write a blog post like this, but it is highly necessary. Because more than ever women find themselves in relationships that are toxic or unfulfilling. The dating culture nowadays has many women believe that they need to compromise their standards or desires in order to be in a relationship. In reality, there are only two main root causes why women settle in relationships. One is fear and the other one is missing self-worth. 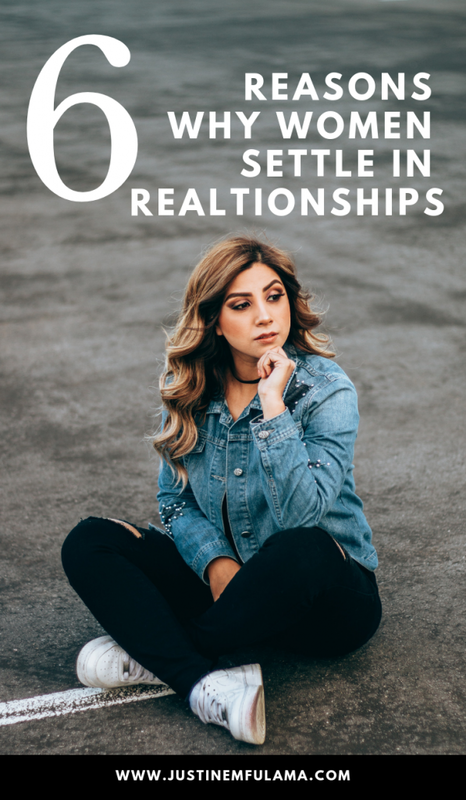 Here are 6 reasons why women settle in Relationships. Fear has this thing it does to you, it paralyzes you to the extent that you are afraid of even trying. You are so anxious of what could happen that you prefer to stay in a situation you know is not good for you, but at least you are familiar with. You have been with your partner for a while and the relationship is comfortable. He is nice, he loves you, he treats you well, but deep down you know that he is not God’s best for you. However, you don’t believe you can do better. Maybe because of the community you live in, maybe because of how nice he is, maybe because he is your first and only boyfriend and there is no one you could compare him too. Whatever it is you need to let go of that thinking. Because reality is that you do not need to do better, you just need to allow God to bring you the right one. Fact is that the one that God has for you, will never even make you wonder if there is anyone ‘better’ out there, because you know he is God’s best for you. This one ties in perfectly with the last point. We have the tendency to think we need to help God out. So, we start to compromise in our relationship in order to make it work. Even though we can clearly tell that it is not working. We hold on to a failing relationship, because it took us so much time and effort to get this one. Who knows if there is another one out there for us? But the reality is, God can introduce you to “The One” today at the local grocery store if he wants. And you wouldn’t even see it coming. Because that’s just the way he works. You do not have to settle in relationships but can trust that God will provide in his own timing. One of my favorite new quotes is: Don’t timeline yourself out of a blessing. Uff! Can you relate? I can! It speaks to women’s obsession with their ‘biological clock’, and their habit to timeline their adult life. Married by 25, kids by 28 and a white picket fence house by 30 #relationshipgoals. The only problem is. When we make these plans at age 15, we don’t take into account that life will try you at times and throw a couple of obstacles at you. 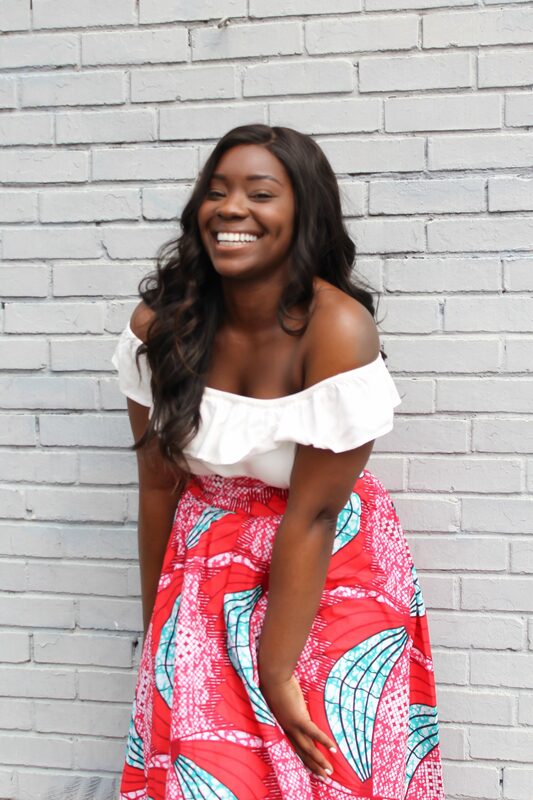 And before you know it, you are 30, lived in seven different countries, traveled to over 23 and are living your dream life in Atlanta (the broke version) #singlegoals. Understand that even if the time passes and your life turned out differently than what you imagined, you still received the blessings, they just look different. Remember that you cannot add a single hour to your life by worrying (adapted by Mat 6:27), instead make the best out of the time you have now by seeking God’s kingdom first. The definition of self-worth according to Oxford dictionaries is: Confidence in one’s own worth or abilities; self-respect. Let me start of by saying that you are not the only one. I’m not writing this to single you out, I’m writing this to make you aware of a very common reason why women settle in relationships. And it’s important to tackle the issue at the root. Understand that it is almost impossible for a woman that does not know her self-worth, to be in a healthy relationship. Almost. Why? Because every relationship you get you will look for the other person to complete you, approve of you or be your source of joy. And that more often than not leads to a toxic relationship. Did you know that everything that you are was well intended by God? When you were in your mother’s womb, he knew exactly what he wants you to look like, talk like and behave like. Because you have been fearfully and wonderfully made (adapted by Psalm 139:14), you can be proud of yourself. You are good enough and do not need to seek any man’s approval. And if your current partner doesn’t see that, then it’s time to end the relationship and make yourself available to the one that will see that. Because the man that God has for you, will love you just the way you are and not try to change you in any way. Emotional abuse is one of the 5 signs of a toxic relationship that is harder to detect. It often shows itself through negative statements towards you which cause emotional harm. 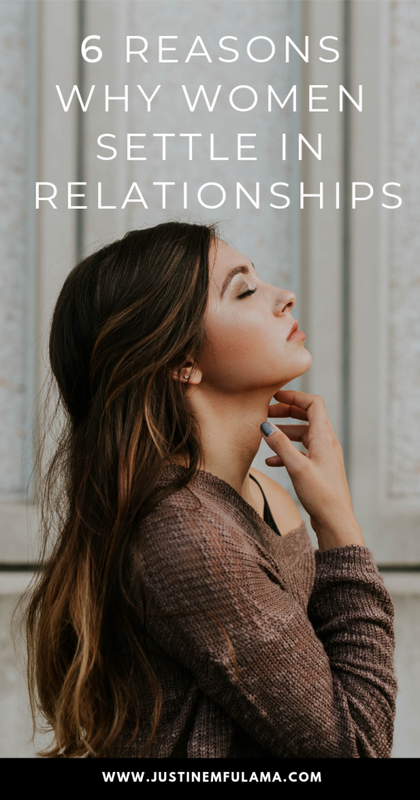 The reason why I included that in this list is because women who have high self-esteem can immediately tell when someone is being manipulative or emotionally abusive. If you are in a relationship where you are used to ‘stupid’ jokes from your partner at your expense, then you are settling for someone that doesn’t value you. But more importantly you do not possess enough self-esteem to leave. A man that values, respects and loves you will not entertain any thoughts about you that aren’t encouraging, loving and uplifting towards you. Contrarily, he will feel offended if someone else ever dares to. Emotional abuse can manifest itself in many forms. Sarcasm, lying, guilt-tripping and shaming. It’s important you learn to identify those patterns in order to avoid settling in a relationship. Be honest with yourself, are you settling for an unsatisfactory relationship because you are afraid what ‘they’ will think of you if you break up with him? ‘They’ could be your parents, your friends or your neighbors. Basically, whoever’s approval you feel like you need to validate your decision. I know that sometimes it can feel like the world is judging your decision and actions, but you need to let go of the desire to please others. They are not in your shoes and will never know what it feels like to be in it. You can be confident in who you are and, in your decisions, as long as they align with God’s will for your life. I am so glad I found you! I’ve been following since a hard break up in October. Your words are always exactly what I need to hear. Hi Justine, Thank you so much for your insight and uplifting info! Keep up the good work. It has helped me and I’m sure many other women.